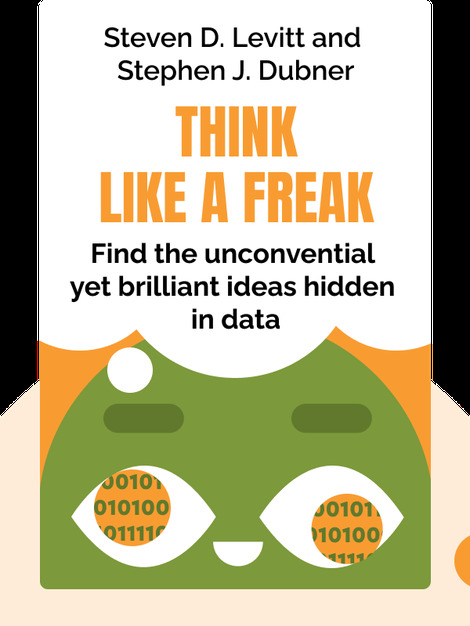 Think Like A Freak is a blueprint for thinking unconventionally and creatively. It demonstrates the benefits of letting go of conventional wisdoms, and teaches you to dig deeper to find out how things really work. By learning to think like a "freak", you’ll gain access to an entirely new way of solving problems and making sense of the world. Steven D. Levitt is a professor at the University of Chicago. He was awarded with the John Bates Clark medal, one of the most prestigious awards in the field of economics, second only to the Nobel Prize. Stephen J. Dubner is an award-winning journalist who has worked for the New York Times. 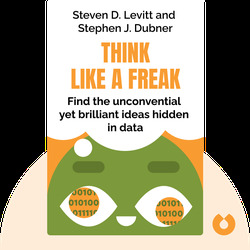 As a team, Levitt and Dubner have written two bestselling books: Freakonomics and its sequel, SuperFreakonomics.